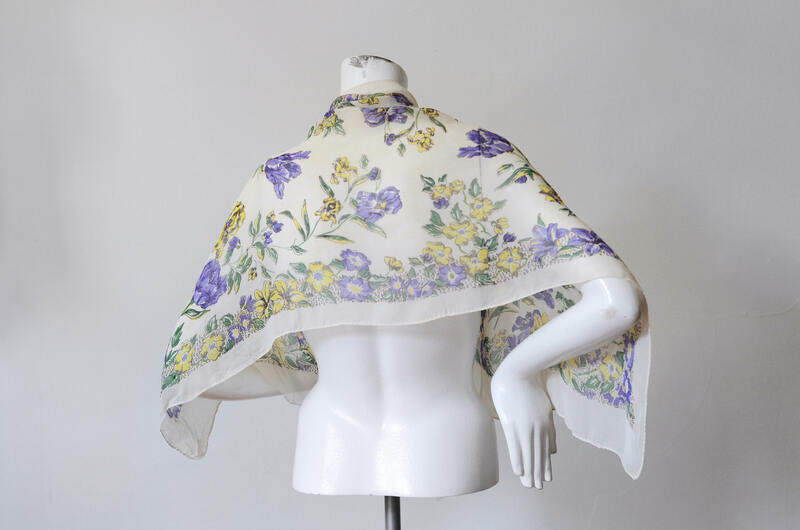 Unsure exact fiber content, feels synthetic rather than silk. 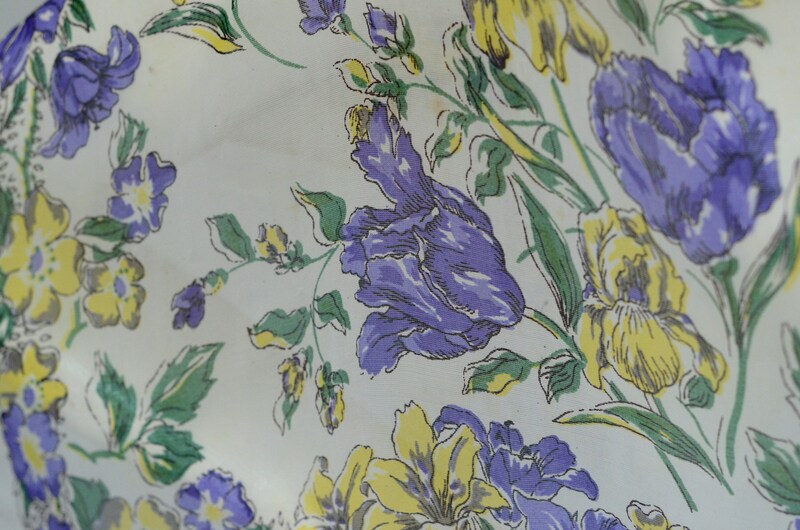 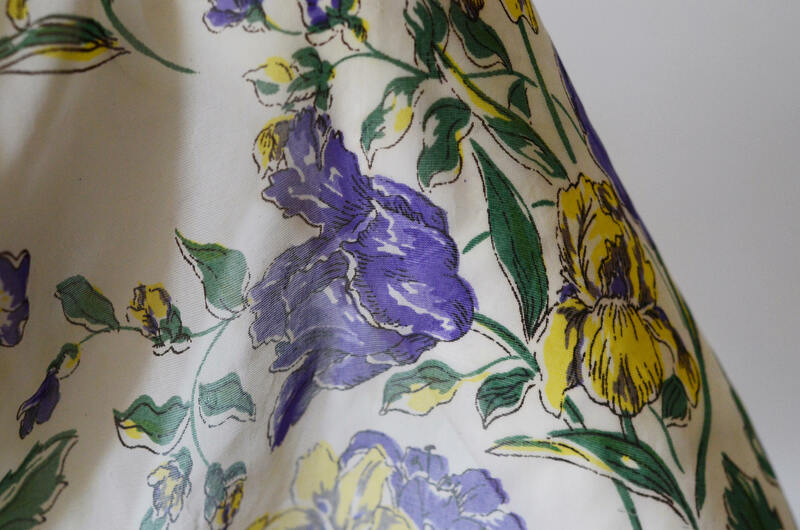 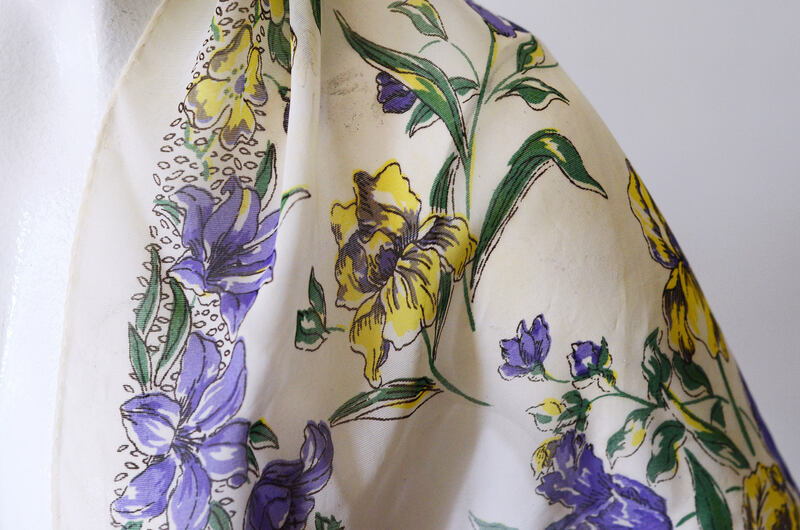 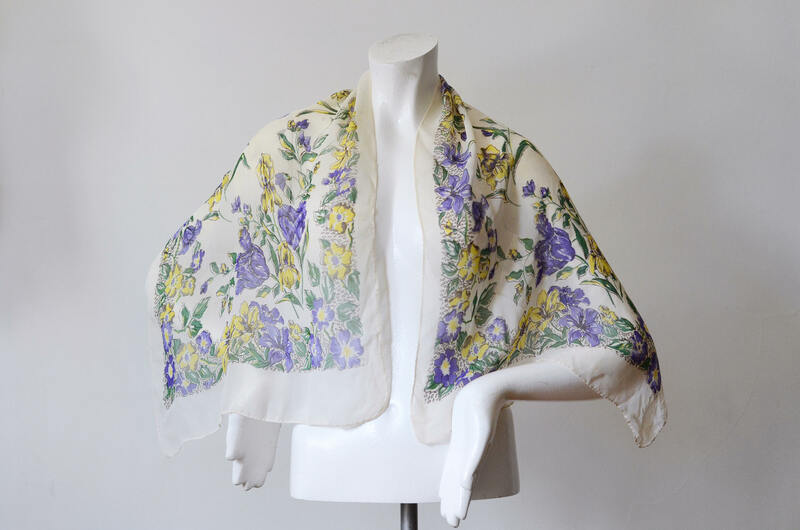 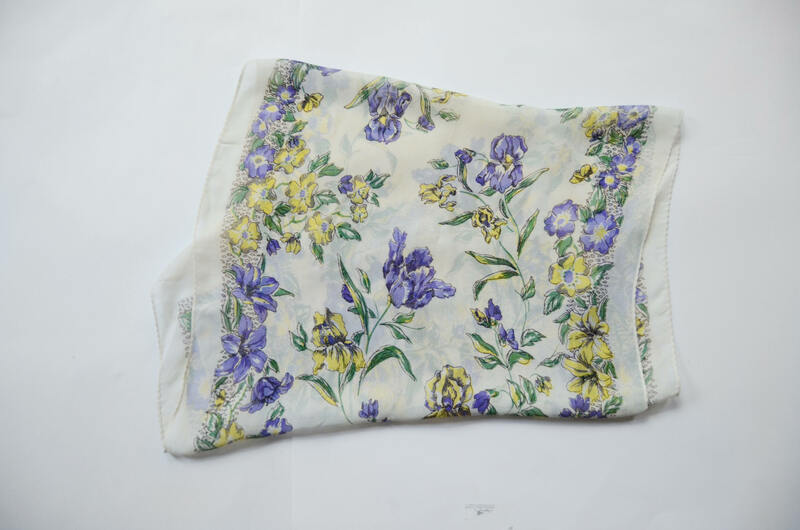 Purple and yellow floral patterning, rectangular scarf. 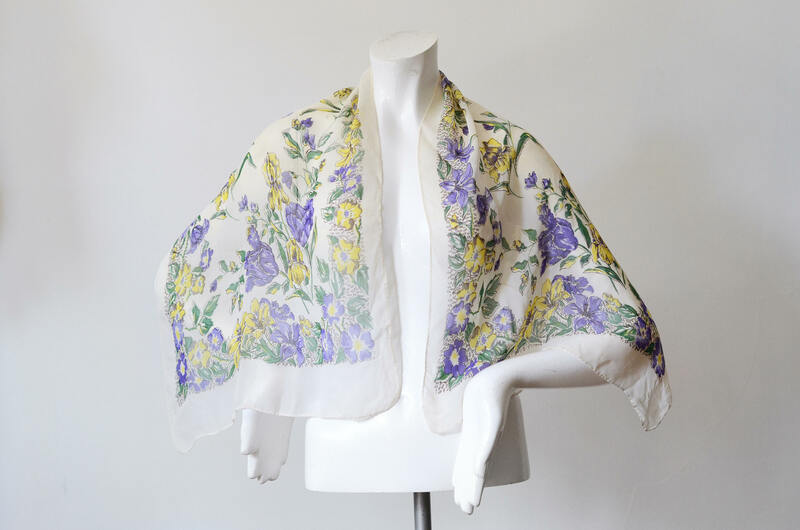 Does have a worn down area in the corner, but still highly wearable!